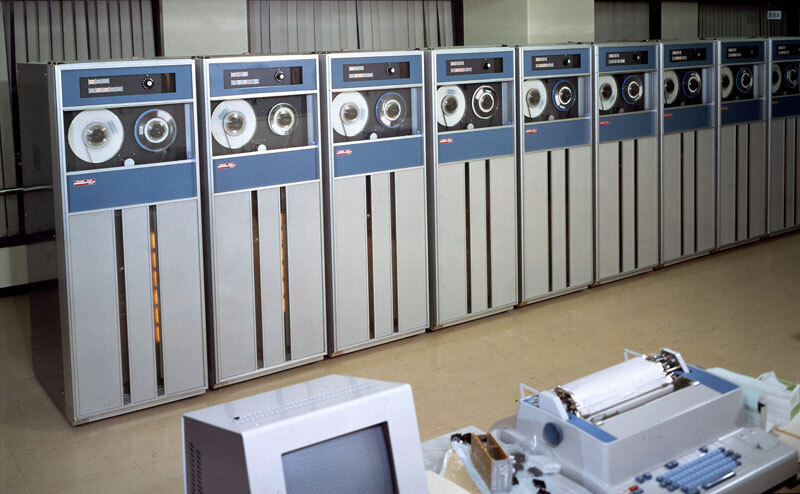 The FACOM 603 was a magnetic tape unit from Fujitsu which employed a vacuum column shock absorber mechanism and a revolutionary single capstan drive system. The first model, called the FACOM 603A, was completed in June 1964. Fujitsu learned a number of lessons from the track record in actual use of models such as the FACOM 601 and 602, i.e. : (1) Complete protection of tape, (2) High reliability and (3) Ease of maintenance. As a result of considering various systems to achieve these goals, Fujitsu invented a revolutionary "single capstan system" to replace the previous tape feed mechanism employing capstan and pinch roller. This system made it possible to feed tape in both directions using a single capstan driven by a DC servomotor. Tape was wound onto the capstan over about 180 degrees, and a fixed tension was applied to the tape with a vacuum column. Tape was then fed, without any slippage, by surface friction as the capstan rotated. The force for feeding the tape was distributed widely and tension was uniform, so tape movement was smooth and it was possible to minimize skew and wear. Also, only the read/write head and cleaner made contact with the recording surface of the tape, and the head moved away from the tape surface during rewinding, thus preventing head and tape wear. In this way, the system achieved high reliability, eliminated the need for fine adjustment and facilitated maintenance, due to the simple structure of the tape feed mechanism. 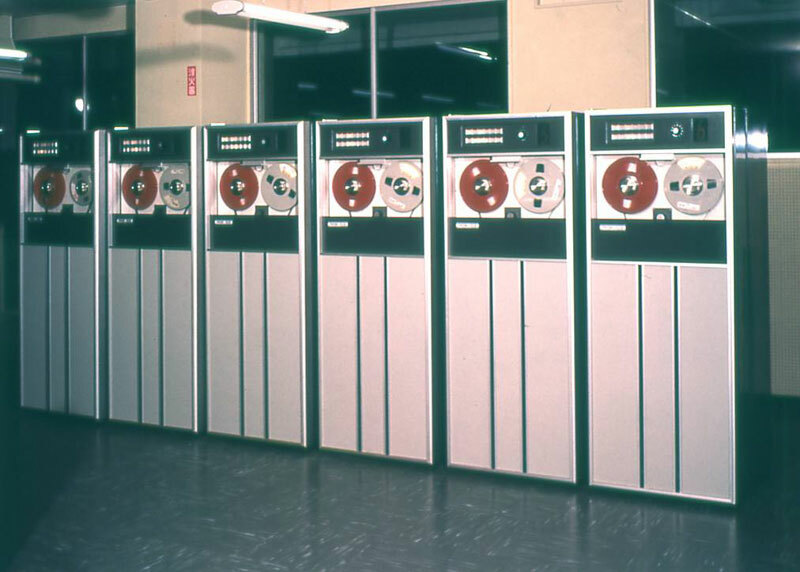 There were three initial models with different tape speeds: the FACOM 603A, FACOM 603B and FACOM 603C. Numerous improved models were developed later, such as the FACOM 603D/E which increased recording density to 800RPI, the FACOM 603F/G which provided early 9-track compatibility, and the FACOM 603J/K/M/N which improved recording density to 1600RPI using a new recording system. These models were collectively known as the FACOM 603 Series. *1:A combination of two of 800RPI,556RPI,and 200RPI was possible by setting the magnetic tape controller.